Between Planets was written by Robert A. Heinlein. 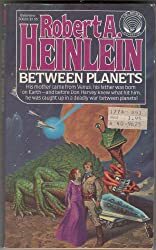 Between Planets was published by Charles Scribner's & Sons. About Clifford Geary (Illustrator) : Clifford Geary is a published illustrator. A published credit of Clifford Geary is Between Planets.